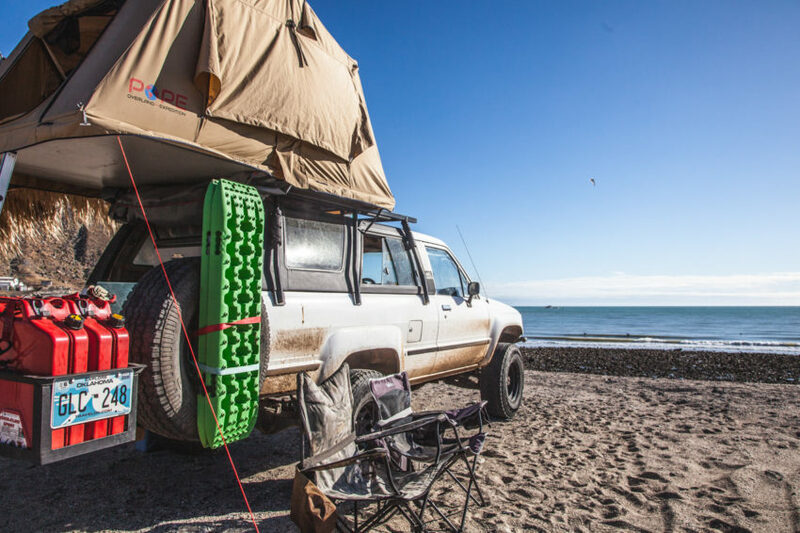 While traveling the Baja Peninsula, camping can be really easy to come by at times. 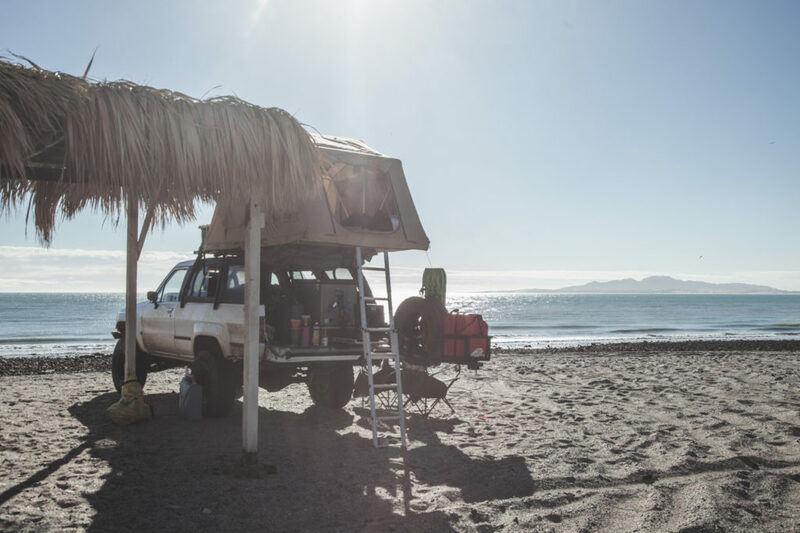 Most seasoned travelers to the area have a “if the gate isn’t closed, it’s free game” mentality and that will serve you well for the more remote areas of Baja, but what if you want to see a city and camp close to it? We took a weekend trip down the San Felipe for groceries, the beach, and to see a new town in Baja. 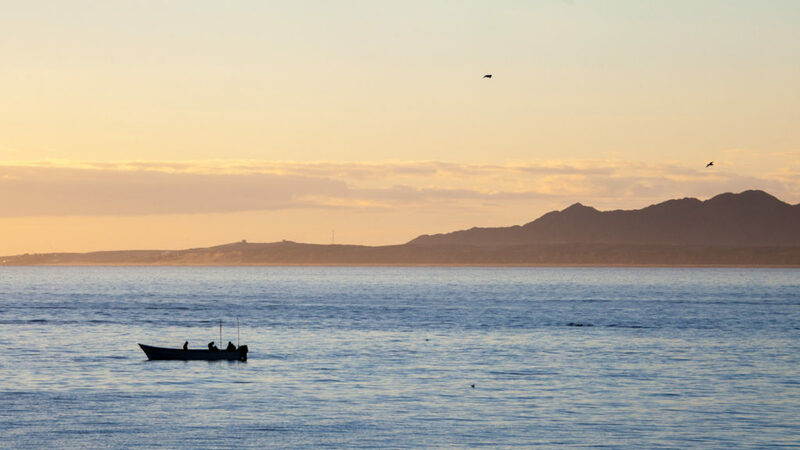 San Felipe is a town dependent mostly on fishing and tourism and is know as the home to the last Vaquita Porpoises remaining on the planet. We wanted to camp close enough to town to walk to the main strip for tacos and not be required to pack up camp and drive each evening. We chose Campo #1 Touristico for a few reasons. 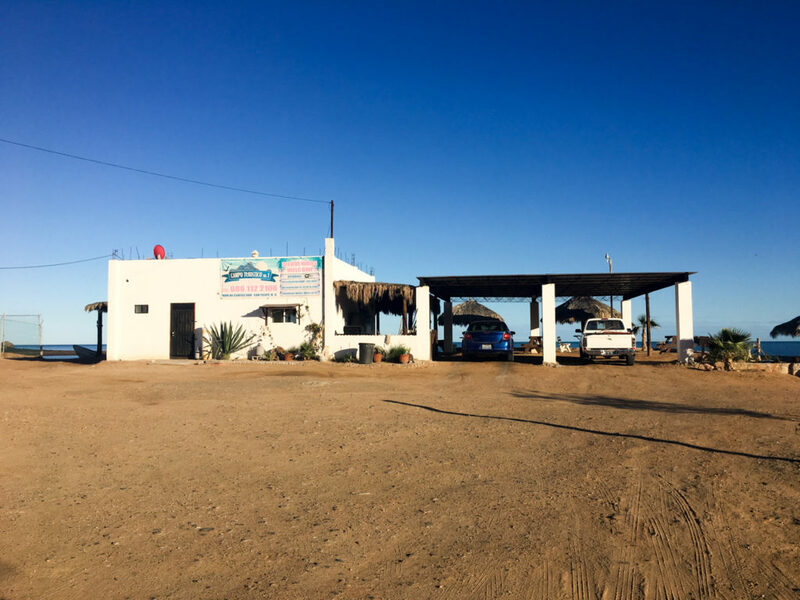 Not that we are very worried about security in Baja, nearly everyone is happy and friendly, but having a gate locked overnight provides a peace of mind to some travelers. One thing to note is that being a beach that is so close to town, people can simply walk through camp from the beach any time of day, so the gate is only useful for vehicle travel. One thing we got used to while traveling the Western US in our school bus conversion, was the lack of amenities at free campsites. 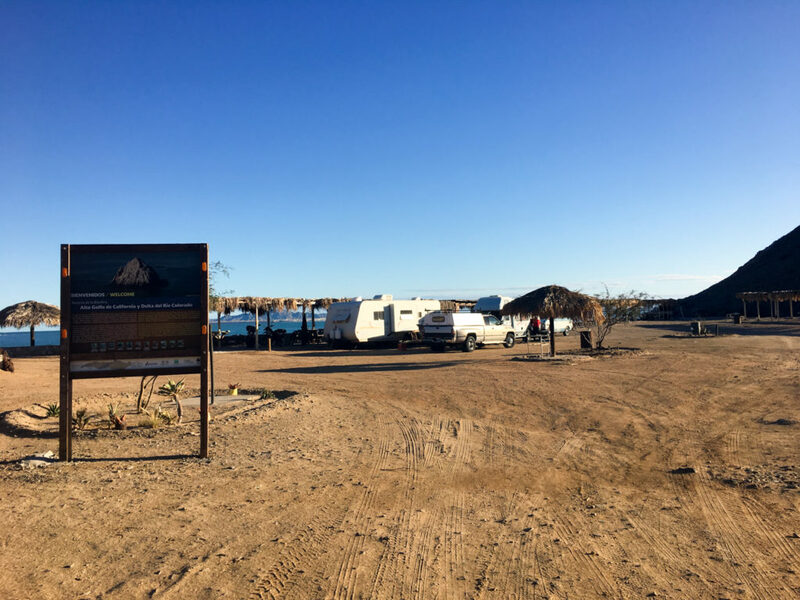 In Baja, sometimes you can’t avoid paying for a campsite and sometimes you get your money’s worth with Wi-Fi, hot showers, and an on-site restaurant. The Wi-Fi was not fast, but we were convinced that some of the snowbirds camping there for the winter were hogging some bandwidth. There was still plenty of signal to check and send e-mails for work and the LTE signal in San Felipe was fairly dependable too. The showers were hot for about a minute, then they turned to lukewarm, which was still really nice after getting out of the Sea. The water in the showers and sinks outside were all freshwater and had good pressure. Some of the sites had electric connections for an RV, but our site at the very end of the row had no hook ups, which was fine by us. We did not sample the food in the restaurant, but if the smells from the food-prep were any indication, the food was likely delicious. We wanted to explore San Felipe properly and for us that means walking most everywhere. Being able to hike a bit from the campground to the main drag in town was very beneficial. It took us about 20 minutes to walk from the truck to row of taco stands waiting on the boardwalk. The walk can actually take you past the lighthouse, a now abandoned disco-tech the “The Boom Boom Room” and the National Shrine. We spent both evenings of our weekend on the strip sampling fish and shrimp tacos and ceviche from the various culinary offerings across from the beach. Although the tacos weren’t better than the ones we had in Ensenada, they were still better than 99% of the fish tacos in the states. We paid $30 for two nights at Campo #1 and felt like it was a fair deal. It is impossible to find a campsite in the US with electric, water, wi-fi, security, and showers on the beach for $30 per night, much less half that amount. The views were beautiful and listening to the ocean waves at night was a nice way to fall asleep. It is rumored that if you wish to stay for a week or longer, the rate comes down significantly. This is the word of the men camped there for the winter, your mileage may vary. All in all, if we find ourselves on that side of Baja and need a place to camp, we will likely stay here again. The staff was friendly, the prices were fair, and the nearby fish tacos were tasty! Thanks Cindy! I am glad you are enjoying the stories. We are having a blast!